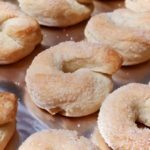 A very Italian cookie – Taralli ubriachi: There are many forms of Taralli and most of them are savoury but here we will be introducing you to a sweet Taralli.Called ‘Taralli Ubriachi’ which translates as ‘drunken bagel’, this little cookie is from the region of Pulgia and is created from simple ingredients including wine – hence the name! 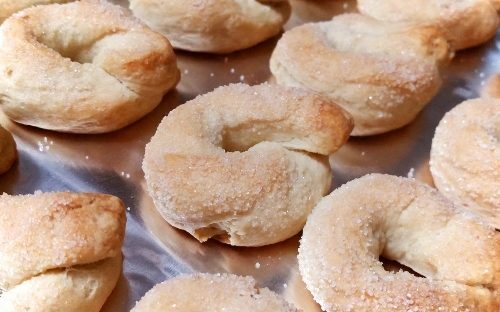 These little Italian cookies are very simple to make and contain only 5 ingredients. 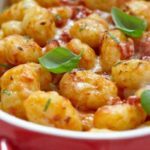 However, as with many traditional Italian recipes, it requires your patience since you will be forming each one by hand. In a mixing bowl add the flour, sugar and baking powder. Stir to combine the ingredients well. Make a hole in the centre of the flour and begin pouring in the olive oil, stirring everything to combine. Add the wine and combine using your fingers to form a soft but firm dough. Pour the dough out onto a clean work surface continue to bring the dough together. Now wrap the dough in clingfilm and place in the fridge for 1 hour. Working the dough a little at a time, form a thumb-thick sausage and slice this into 1/2 inch pieces. Now roll the pieces sausages the width of your hand. You will know what we mean as you begin to roll the dough. Form each sausage into a ring, overlapping the ends and pressing them together to secure. 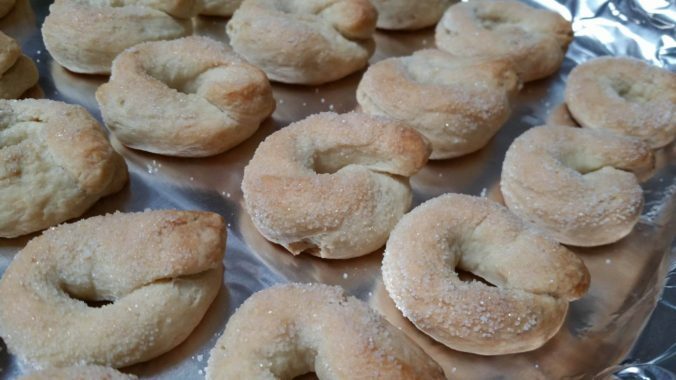 Arrange the Taralli on a baking sheet, sugar side up. 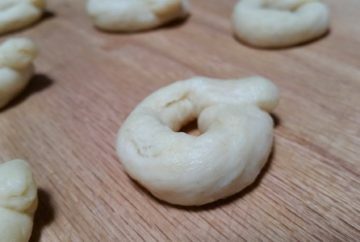 This will take a bit of time so as you reach the end of the dough preheat the oven to 350 F.
Place the tray/s of taralli in the centre of the oven and bake for 20 minutes or longer until golden brown. Now turn the oven off and leave themin the oven until it cooled. During this time the Taralli will become crisp on the inside as well as the outside.